Summary: When the Holmes couple first came to live at 221B Baker Street, Hudson didn't know quite what to think of them. Summary: Mal is looking for River in a marketplace but finds Cam instead. "What are you?" he asked. "A clone?" Summary: Bodies appearing in Manhattan send detectives (and consultants) to Brooklyn. Summary: Sherlock knows that had Project Insight worked as HYDRA intended, he and Joan would both be dead. The knowledge does not sit well with him. Summary: She doesn't grab my attention until she's already in my building, stealing swipe cards from janitors and wondering under her breath how to get onto limited access floors. My floors. 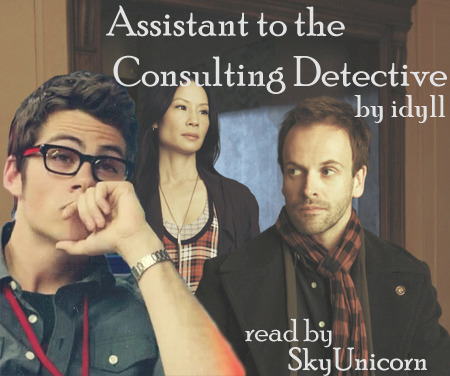 Also posted to amplificathon, elementarycbs, chromatic_podfic, and AO3. Rating: PG or PG-13 maybe? xdiorix - 4 podficlets for bingos!